Contact us today for quality work done by experienced, local roofing contractors serving the Augusta GA area. We have more than eight years of experience with roof inspections, roof repairs, tear-off and re-roofing, metal roofing, siding installation and more. Learn more about our services.  As a small business, Tico Roofing understands the importance of making sure every customer is satisfied. That is why we use quality materials - including Owens Corning roofing products - to make sure your roofing and siding look amazing and work perfectly for a very long time. Tico Roofing is a member of the National Association of Home Builders and an Owens Corning Preferred Contractor. Whether you need inspection, repair, installation, replacement or any other roofing service for your home or business, contact the local roofing contractors Augusta GA at Tico Roofing today. See our work for yourself in the photo gallery. Fill out our form, and we will get back to you as soon as possible. Or call us at 706-650-2121. Contact Tico Roofing today for all of your commercial and residential roofing needs. We are local roofing contractors in Augusta GA & Martinez GA.
© 2018, TICO Roofing. All Rights Reserved.